Increasing numbers of Americans are giving up eating gluten despite the prevalence of celiac disease remaining flat during the past five years. Celiac disease is an autoimmune disorder affecting the small intestine, caused by a reaction to gluten, proteins found in wheat and other grains. 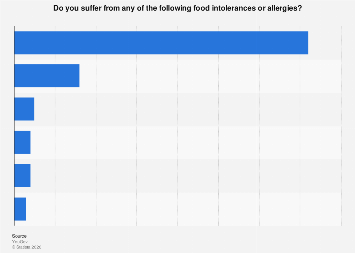 3.1 million Americans now follow a gluten-free diet and 72 percent of them are classified as "PWAGs" or people without celiac disease avoiding gluten. 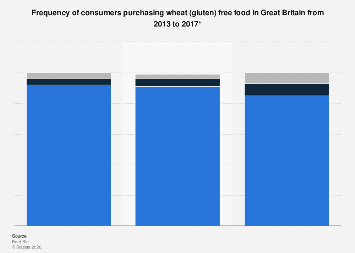 Their ranks have increased steadily since 2009 amid rising public suspicions of the health issues brought on by sensitivity to gluten. People ditching gluten without a celiac diagnosis are often labelled as being overly-sensitive hypochondriacs intent on joining a hip and trendy movement without properly understanding the science behind it. According to the Mayo Clinic, the benefits of going gluten-free are still not entirely clear and nutritional concerns have been raised due to iron, calcium and fiber dediciencies. Nevertheless, people who claim to suffer discomfort due to non-celiac gluten sensitivity have reported a huge improvement in their symptoms after eliminating gluten from their diet. Evidence is mounting which suggests that gluten intolerance/sensitivity can exist without a firm celiac diagnosis, though the reasons behind the phenomenon are still unknown. The scientific research behind non-celiac gluten intolerance is expected to expand radically over the coming years, hopefully finally ending the debate as to whether the gluten-free diet is just a trendy fad or a legitimate health strategy. This chart shows the percentage of Americans on a gluten-free diet with/without celiac disease.